This Earth gives us oxygen to breathe, bathes us with its rain and splashes us with sun rays. Day in and out, it revolves in outer-space managing to keep us afloat. Not falling from space but doing what it does to allow us to LIVE. Why do we hurt this place that maintains us and shelters us? As we live day in and out, we too have to protect it and share with the future generations to protect it too. 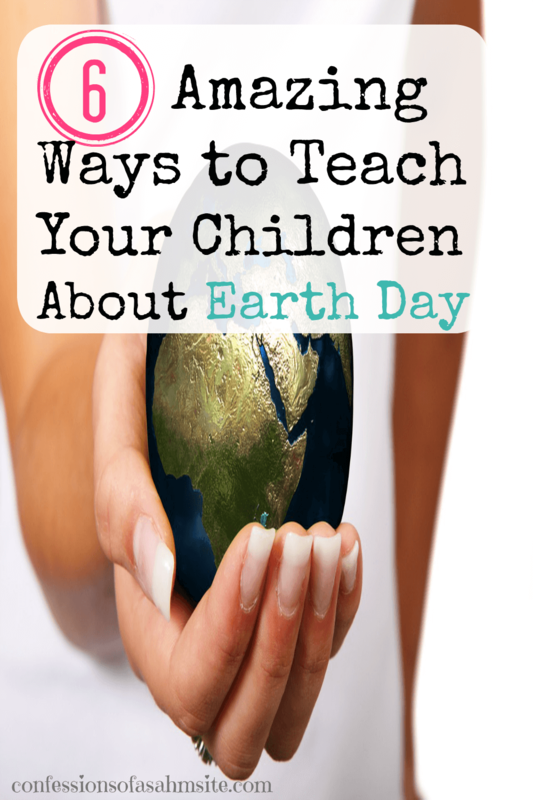 I’ve compiled some amazing ways to teach your children about protecting our Earth. Not only on Earth Day but in our everyday living. Found this on Pinterest from Infarrantlycreative which caught my attention because I had up-cycled cereal boxes once by making them into small notebooks for my boys to paint and draw in them. They loved creating these small books and just paint in them like a regular book but with a cover from a cereal box. Check out some of the other ideas in this site. Another awesome and fun idea comes from Eric Barclay, an illustrator, author and designer who recreates common objects we have at home into cute creations. 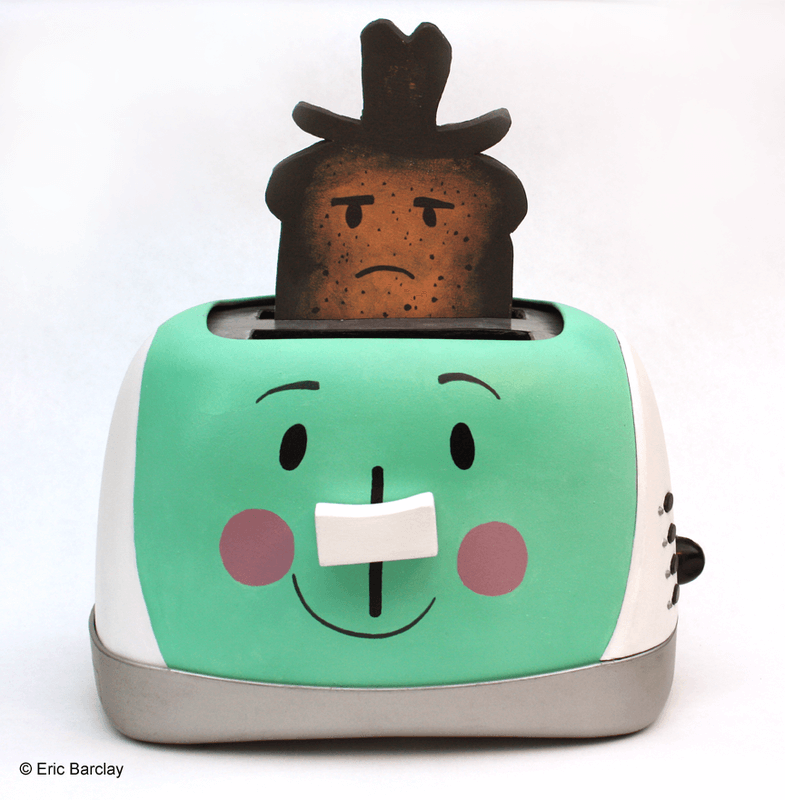 Check out his blog post about this toaster. Have you opened your cabinets or children’s toy box and there are hundreds of tiny pieces of crayons? Or you leave a restaurant with more crayons given to your children so they are entertained while you wait for your food. What to do with so many pieces? Check out this amazing art that can be created by your kids for their teachers. This idea comes from Upcycle Us‘ blog post. 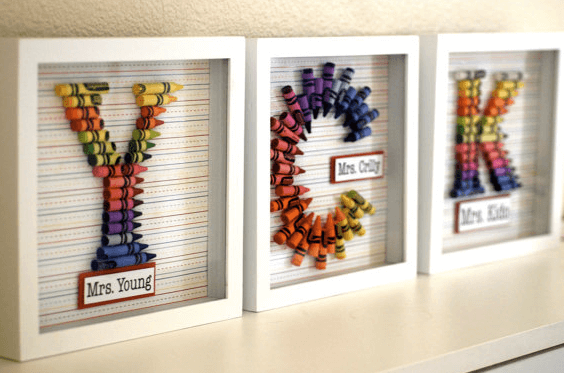 Such a fun and creative way to recycle crayons. I know we all have clothes that no longer fits, is a little worn or just doesn’t meet our needs anymore. What do we do with it? Some people actually up-cycle clothing. Clean out your and your children’s closets and help save clothing from being thrown in land fields and help up-cycle them. If it’s lightly worn, you could donate your clothing to a center like Goodwill so they can sell it. Or you can take it to a local used clothing store to sell and at the same time you get some cash in your pockets. 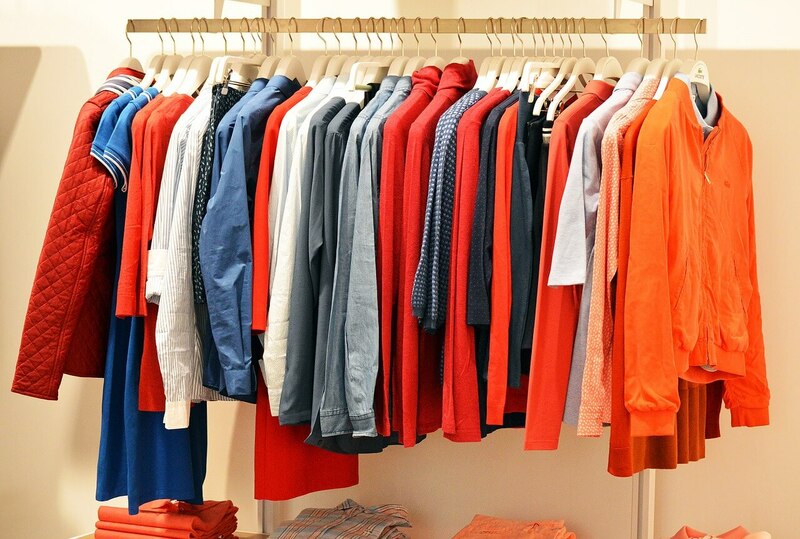 If you would rather donate clothes, you can also take your children’s clothes to a local women’s shelter or orphanage. Another thing to do is use torn up or unsuitable clothes and use them as rags for cleaning. After you use them, you can throw them in the washer to reuse again. 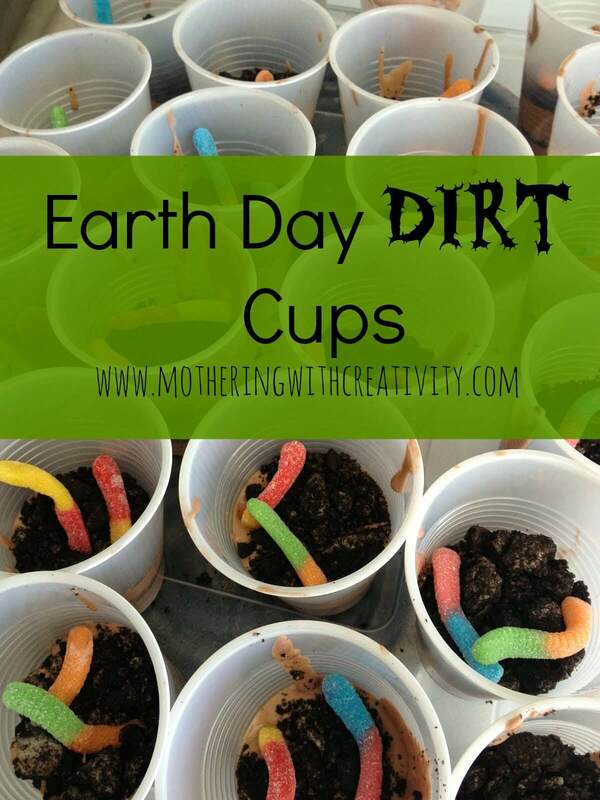 A yummy and creative idea to teach children about our Earth is making some yummy desserts. This idea comes from Mothering with Creativity’s blog post. 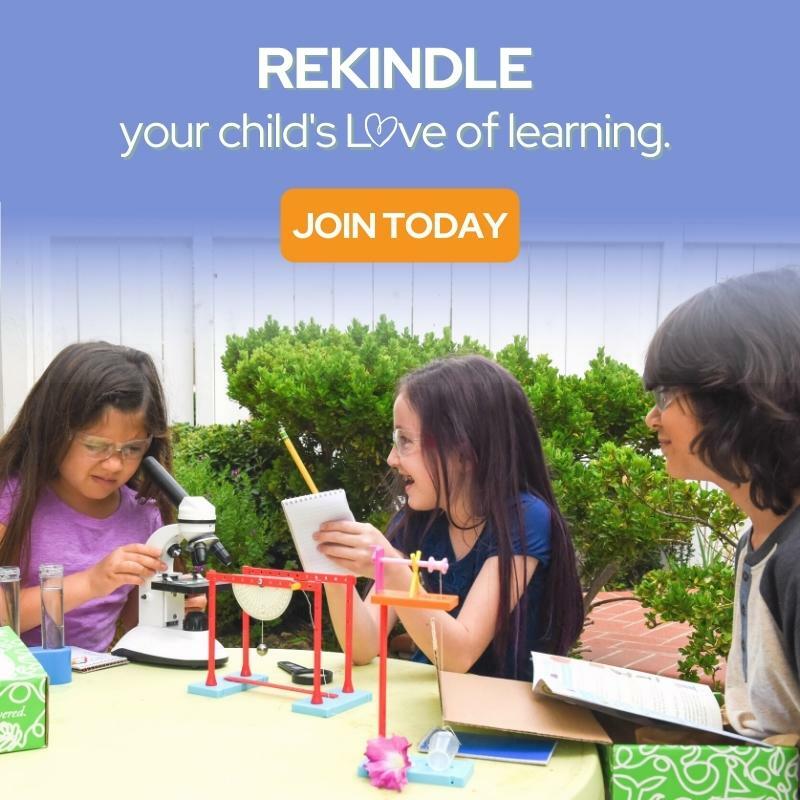 A great learning activity for kids is having these STEAM (science, technology, engineering, arts, and math) discovery boxes that you can purchase from Green Kid Crafts. They range from different learning projects for your kids with earth-friendly materials. Here you have six fun, creative and yummy ways to teach your kids about protecting and saving our Earth. Have fun creating and eating yummy snacks that entail learning along the way! P.S. 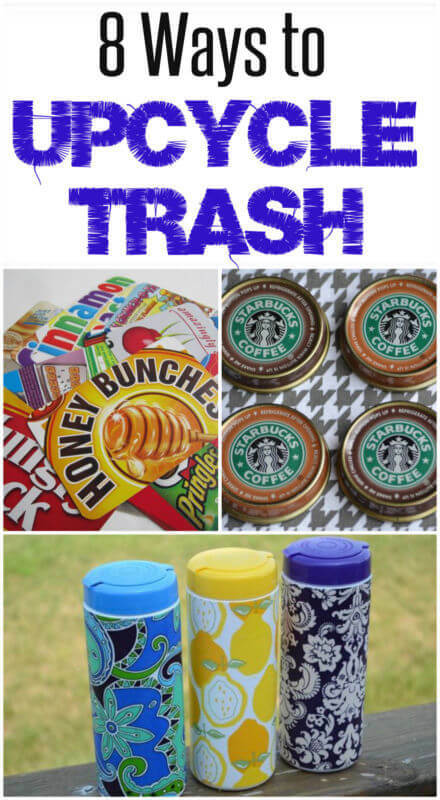 What other fun activities have you done with your children to recycle, reduce, and reuse? Would love to hear from you in the comments. Awesome ideas! I love the repurposing ideas! Right?! Thanks for your comment!